Download the new and improved Qantas app today. Book flights and hotels, check in, access your boarding pass, plus explore entertainment options before you fly and more. The new Qantas app also offers a personalised feed, with shopping, offers and inspirational articles customised to your interests, including information on where to stay and dine, plus local activities at your destination. Download the Qantas app on your iPhone or iPad for all your journey needs. It’s also compatible with your Apple Watch. * Check-in, in-app boarding passes and some alerts are not available for all flights and all airports. Resolved issue occurring when accessing Digital Boarding Pass. This app has had its ups and downs. However, it is steadily improving and offers more functionality with each update. A bonus is that it is now faster at refreshing your activity (though at times you’ll need to be patient). The only annoying thing surrounds seat selection, where it has to pull in data from a different interface (designed for larger screens initially) which not only slows the process, but forces the user to tap a few times to see what they need to see). There are other instances when it has to jump out into other non-app interfaces but trying to pull together all this functionality isn’t easy. Under the tab, My QFF, there is: Feed, Earn, Points, Status - all fine (though ‘Earn’ is just an advertising plug), but how about ‘Redeem’ and why place ‘Where can I go?’ Under the Book tab? The app doesn’t offer an easy path to seeing where your points can take you: ‘Book’ isn’t quite the same definition! 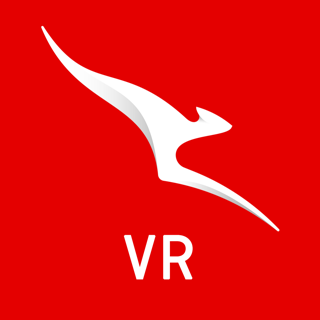 One oversight is the lack of phone numbers or email addresses to contact Qantas in the app, either in Australia or overseas. C’mon Qantas: you can’t seriously think that this is a good thing? Hi ivanovt, thank you for your positive feedback and your suggestions for improvements. We are working towards better experiences on the App and your suggestions are definitely on our roadmap right now. Look out for updates in the App store and thanks again for using our App! Simone, Qantas Mobile App Team. I use the App regularly and recommend its use to others who also find it of good use. My issues though do relate to not being able to check in for my Qantas leg 24 hours before simply because another airline is used for another leg of my journey. Virgin does it well here. Also as stated by others the seat selection process is clunky, it needs some attention. Finally in QFF I can see my Qantas membership card, however I cannot add this card to my Apple Wallet unlike the Virgin App and also Qantas Apps own process for adding boarding passes. Can you please allow this feature in a future update. Apart from that, great App everyone! We'd like to thank you for your positive feedback and are glad you are enjoying the Qantas App experience. Some of your suggestions are already in our backlog and will be delivered soon. I would agree with many others here, the most recent versions of the app have gone backwards. I’ve experienced most of the issues others have reported plus whenever you click on Deals it doesn’t immediately refresh so you click through to get the deal you’ve selected but can then find there’s a $500 difference in some cases which when you check again shows an updated price in Deals. It used to be good for existing bookings but this is now harder to navigate and doesn’t seem to be displaying multi city bookings correctly. Also very disappointed that the countdown for bookings has been removed. That was always very handy so I hope they consider bringing back soon in a future version. Hi allthenicknamesaretaken47 - Thank you for your valuable feedback. We will use the feedback to help us to continue improving the experience! Qantas Apps Team.